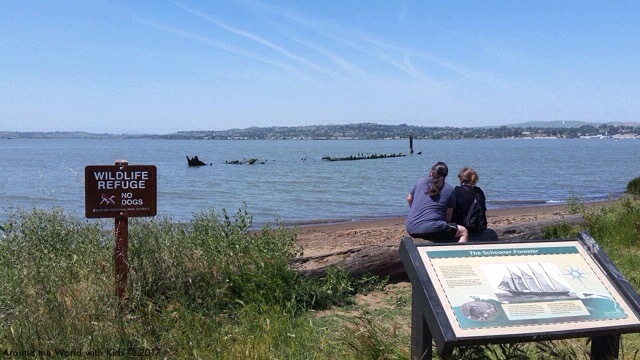 After our visit to the John Muir National Historic Site, we intended to take the kids for a hike. 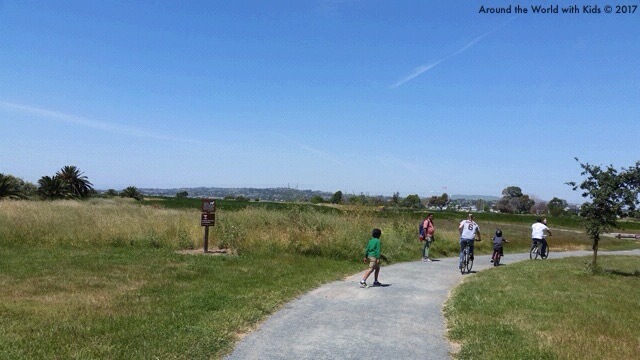 But instead of the hills of the John Muir Site we opted for the relatively flat trails of the Martinez Waterfront Park. 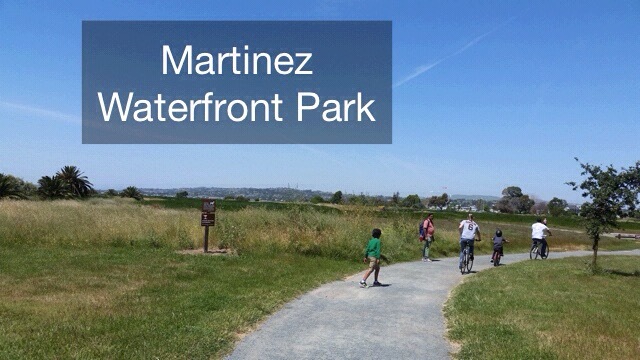 A large swath of land near the Martinez Waterfront has been turned into a public park. 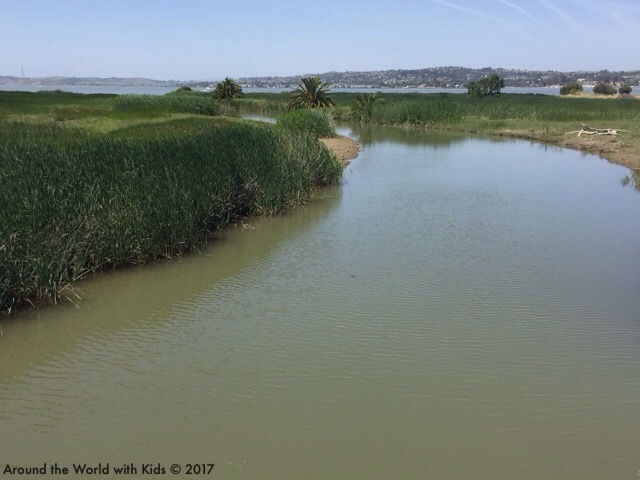 There is a play structure, lots of benches, a marina, and miles of walking trails that take you through the natural flora and fauna of the waterfront. We chose to take advantage of the later and walk the trails. 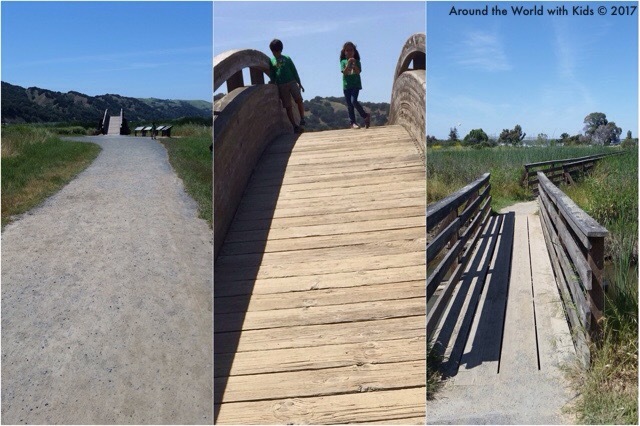 Throughout the walk, I enjoyed the view and the serenity, but my favorite part was watching how my children, and their two different personalities, took to the hike. My son, ever the competitor, wanted to be first. He was walking with a purpose, and often had to reminded to stop, slow down and look around. He had a hard time with the idea of no destination. My daughter, however, embraced the surroundings. 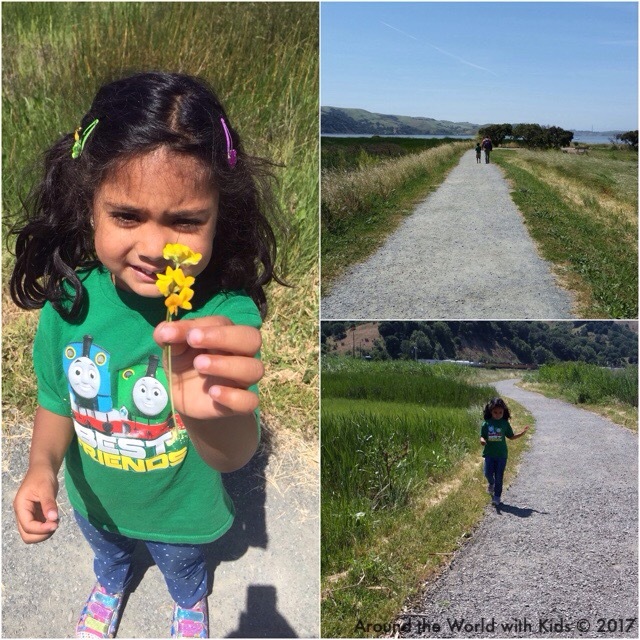 She picked wildflowers (which I don’t recommend, but she wouldn’t stop), imagining that we were all part of her flower wedding (to whom, I have no idea). Later, when we walked on the Marina, she imagined she was part of a field trip, and was insistent she walk behind me because she wanted to be “with her classmates”. She figured out how to incorporate every element into her fantasy games. And while it made her pace infuriatingly slow, it was refreshing to see that pure imagination at work. After our walk, we headed into town and stopped at Starbucks for a cool treat, then headed back home. It had been a long day, and my two tired kiddos (and two tired parents) were ready to head home for a well-deserved rest.